When Titleist revealed player seeding of the new TS2 and TS3 drivers at the recent United States Open (where 17 of them were in play) the big question that came from many golf enthusiasts was, “where are the fairways”? They now have their answer. 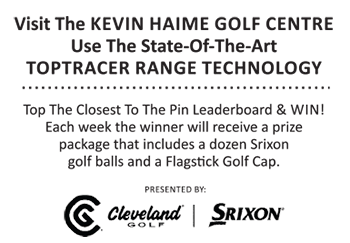 On Monday Titleist posted on their social media accounts that the Tour Validation process had begun for the TS2 and TS3 fairways, indicating that they will be in play this week on the PGA TOUR at the Quicken Loans National. This is traditionally the event where the company’s new drivers see the first light of day but that process was pushed up a couple of weeks earlier this year. The social media photo posted predominately featured the TS2 fairway head but it is easy to see that both models retain the Active Recoil Channel feature and Sure-Fit Hosels. In an additional photo our staff spotted the TS3 fairway does not have a sole backweight like the TS2 fairway but it does have a SureFit CG weight. It appears that both fairways have returned to a darker coloured head, which will fall in line with what we have seen in the affiliated drivers. There is no official word yet on a release date but the company is encouraging people to sign up for “Updates” on the #TSProject at their website.